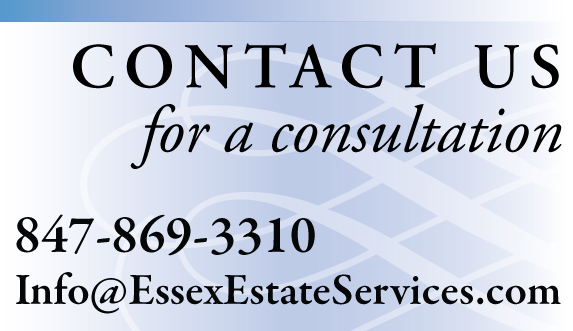 Merrill J. Essex, Principal | Essex Estate Services, Ltd.
Merrill performs all fine jewelry valuations, appraisals and sales of estate property. In addition, Merrill provides private jeweler services, including repair and refurbishing for both new and estate pieces, redesign, custom design and liquidation of precious metals. Merrill is a Graduate Gemologist, Gemological Association of America (GIA) and a Senior Member, The National Association of Jewelry Appraisers (NAJA). Merrill has experience in the auction house and luxury retail fine jewelry venues, recently serving as temporary fine jewelry specialist for an Ohio auction house. She holds an MBA in Marketing from the Kellogg School of Management, Northwestern University. Merrill’s prior career included more than 20 years of experience in consumer and industrial marketing management and marketing consulting. Merrill served on the Executive Board of the Women’s Jewelry Association-Midwest Chapter as a two-term Treasurer, and has been a recipient of the WJA Shining Star national service award. She has been nominated for the WJA Entrepreneur of the Year and Woman Making a Difference awards and was a recipient of multiple WJA educational grants. She has served on the Board of the Raven Theatre in Chicago and is currently a member of the Women’s Club of Evanston, where she participates in the Community Outreach Committee’s Adopt-a-Room and Dreams Delivered projects. Merrill runs the “bling” boutique for the latter event, which annually provides complete prom attire and accessories for girls attending Evanston High School.